News and updates from the Tenpyozan building project. Offering the New Year greeting, a monk asked Dogen Zenji, “What is the Buddha Dharma this New Year?” Dogen replied, “The same Buddha Dharma as last year. This New Year’s day is the same as every day—we should do what we should do…” This is still true today. At the New Year, everybody smiles; even the trees and birds are smiling. With courageous right-effort, we can find that “every day is a good day.” I hope you can do what you should do, with good health in your body and mind throughout the coming year. "With courageous right-effort, we can find that every day is a good day." In late December there was a small party at our Kojin-An Zendo in Oakland, California, to send off the Japanese master carpenters who have been working to finish the Monks’ Hall at Tenpyozan. Under the burning sun of summer and into the rainy, muddy days of winter, these carpenters toiled diligently to complete the walls and roof. Now, all is quiet. The hammering has ceased for the holidays and there is just the sound of birds in the meadows, the wind blowing through the oaks, the far-off crow of the neighbors’ rooster, and, for the first time ever, the sound of rain beating down upon the tar-paper of a strong new zendo roof. In this quiet, one can imagine the thundering of our chanting and the distant reverberation of the densho bell. We are hopeful and deeply grateful. We want to thank Tenpyozan’s many benefactors. This includes individuals and members of over two hundred Japanese and Western temples who have donated to our vision of International Soto Zen, as well as numerous volunteers, contractors, consultants, and government officials on both sides of the Pacific. Although our outreach efforts are only just beginning, Tenpyozan is already receiving wide-ranging support thanks to you and your sanghas. Recently a team of notable Zen teachers came forward to develop our ongoing e-newsletter; I hope you will sign up for it through the website and help us build an international Sangha, even while buildings are under construction. "Let’s be watchful and diligent, and let’s rise early and awaken all living beings." Early in the New Year, as the carpenters continue their work, we will begin to tile the zendo roof. We are undertaking a roof tile dedication campaign between now and summer, when the roof will be completed. If you are moved to participate, follow this link to our site to dedicate your own tile. We hope you will share it with friends and family so that many more names can be inscribed on the backs of these tiles—in this way, we will all be sheltering the Dharma together! 2017 will be the year of the Rooster. Like the rooster, let’s smile and each day do what we should do. Let’s be watchful and diligent, and let’s rise early and awaken all living beings. Congratulations to Jisho and Daishin as they welcomed their first child, Malcolm Kenneth McCabe, into the world on January 10th! Many bows and blessing to you all! This series explores why Tenpyozan is relevant to our world and its current suffering. The articles in this series are based on the author’s experience in over twenty years of work to prevent sexual and domestic violence worldwide, and eleven years as a student of Rev. 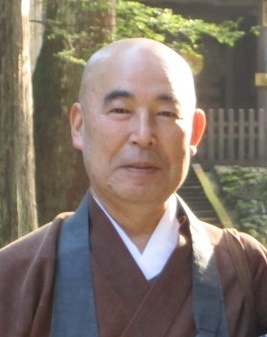 Gengo Akiba, Tenpyozan Founder. How can the training of Zen priests and lay leaders help transform our communities? When I sit with this question, it transforms into others: How much of the world’s turmoil—climate change, war, racism, discrimination—is ego-based? And how much of our response to these problems is becomes ego-based? Working mostly as an American white woman with African and Haitian women around the world for the past ten years, I have gotten a good look at my own ego. It came out in the times I talked over a colleague at a meeting because I thought what I had to say was more important; in the way I valued the skills I had over the skills prized in another culture and place; and in the time I just didn’t understand when my assumptions of superiority made a community member, jaw dropped, just get up and leave a meeting. What are these but moments of pure ego in the form of unchecked white privilege? I have been lucky to have so many compassionate teachers—I have quite an ego on me! As we each examine the current dialogue in this country around race, immigration, women’s equality, climate change, and other critical issues, do we lose our practice or do we live it? "Both individual and social problems occur when our view of the world is distorted." I begin to think an outcome I am seeking is about my success or self-worth or that my happiness depends upon it (if x, then I can be happy). I fail to see other perspectives and even start to demonize those who believe differently. I fail to see the mutual benefit of liberation and lose the joy of the moment. 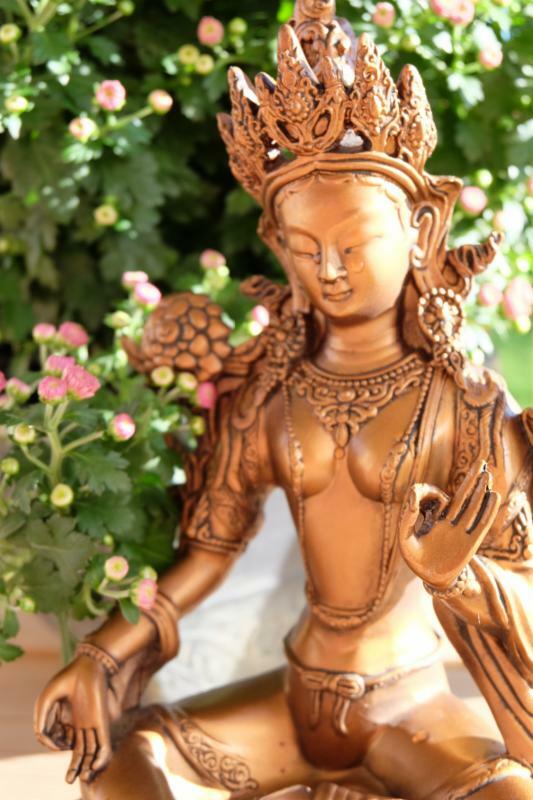 In a Zen monastery like Tenpyozan, there is no success or failure—just wholehearted practice. We learn to see other practitioners and ourselves as parts of an interdependent whole, like parts of one body in which the whole body suffers when one part is not working. We learn to eat, dress, sweep the floor—all with joy and in a way that creates happiness and harmony in the community. Learning to sweep the floor with egoless joy is the same Mind with which we truly practice compassion and justice. The simple act of learning to pause when our egos are taking over could transform our world. In this light, what separation is there between monastic practice and the Mind and hands that transform our communities? E ach year, Tenpyozan founder Rev. 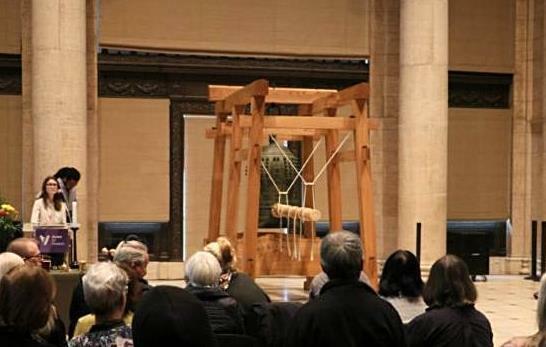 Gengo Akiba is invited to conduct the traditional bell-ringing ceremony to ring in the New Year at the Asian Art Museum in San Francisco. Watch a video of the event here . There is still time to dedicate a roof-tile for Tenpyozan, and working together we can shelter the whole community. 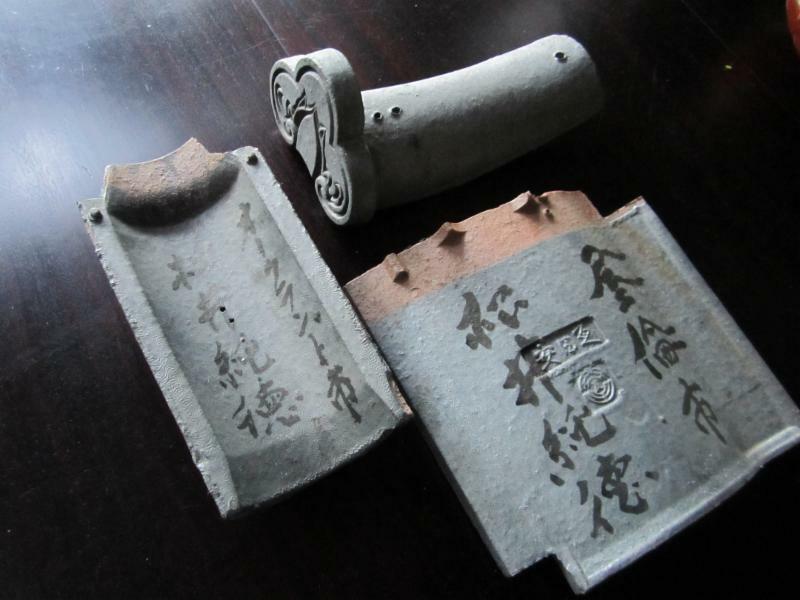 Traditional kawara-gaki or 'roof tile writing' allows you to share in the merit of building the temple. Your name, or the name of friends and loved ones can be inscribed on the back of a tile before they are placed on the roof this spring. The deadline is approaching, so dedicate your tile here today! 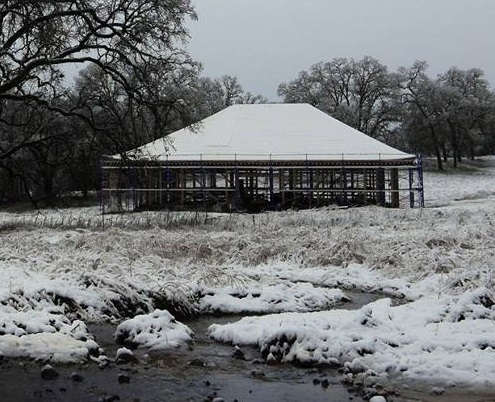 Tenpyozan is an international Soto Zen training and retreat center being constructed 3 hours north of San Francisco, in Lake County, California, under the guidance of Rev. Gengo Akiba. Its mission is to support, encourage, and facilitate the international transmission of Soto Zen Buddhism by offering training for Soto Zen clergy and opportunities for formal practice, cultural and religious study, and community fellowship for both clergy and laity. There's a place for you at Tenpyozan! Tenpyozan's activities are mainly carried out by volunteers, and we'd love to have your participation. You might work on the land, write articles for our newsletter, lend your carpentry skills, help raise money, or assist in other ways. For a current list of volunteer activities, please contact us.